BSNL (Bharat Sanchar Nigam Limited), the state-owned telecom company operator just revised its postpaid plans and now they are giving more than double data benefit. These benefits come with the postpaid recharge of Rs 525 and Rs 725. 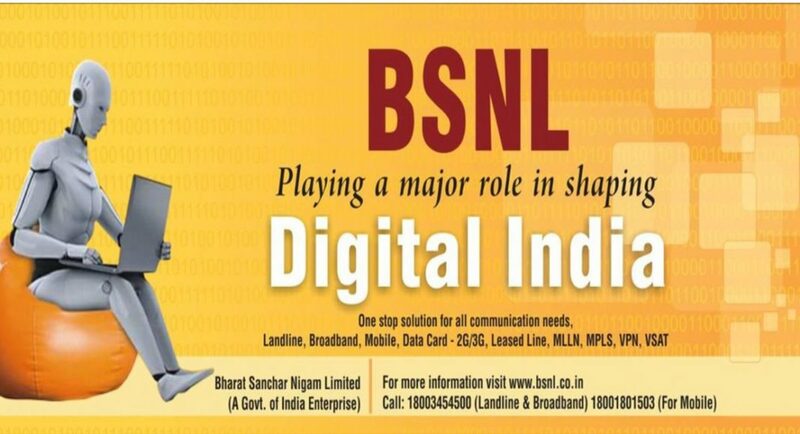 With Rs 525 postpaid plan, BSNL is offering 40GB of data benefit during the rental period, which was 15GB earlier. And on the postpaid recharge of Rs 725 the users will get 50GB of data benefit during the rental period. These revisions of postpaid tariff can be owned by the company’s Rs 499 plan in some areas and circles. Currently, Rs 499 comes with 45GB of data per month, and this plan is better than the offered and revised plans of Rs 525 and Rs 725. While the Rs 499 plan is available only in some circles, Rs 525 and Rs 725 postpaid plan is available on a pan-India basis. These new revised postpaid plans are now active throughout the country. The telecom company is known for their cheap and affordable plans, be it voice, data or roaming and with the new postpaid data plan they have shown that they are serious about their postpaid customers too. And the new revised plans not only offer data, but voice calling benefit as well. Rs 525 and Rs 725 postpaid plan comes with unlimited voice calling without any Fair Usage Policy (FUP) limit and also offer 100 SMS every day. These plans are just like those we see with other Telecom sector giants offer. But it’s not just limited to that, BSNL also offers a one-year free Amazon Prime subscription worth Rs 999. BSNL has been there longer in the market than some of the Telecom sector players, still it falls short (when it comes to subscriber base) than the Airtel and Vodafone. If we take Rs 499 postpaid plan of Airtel and Vodafone then we see that they offer 75GB data until the rental period is over. Over that, they too offer Amazon Prime membership for one year with unlimited voice calling. In Rs 300 to Rs 1,000 plans there is fierce competition between Reliance Jio, Airtel and Vodafone and with BSNL’s revised plan the competition grows fiercer. And the revised plans of BSNL sits between Rs 399 and Rs 799 plans of BSNL, which offers 30GB of data and 60GB of data respectively. But the problem is that these plans do not offer any data carry forward option. Meaning, if the plan is over and the data is remaining in your account it will be over with the end of plan, it will not add on to the recharge done after plan’s expiry. The data carry forward varies from telecom circle to circle, too. In the Kolkata circle BSNL offers 80GB of data along with benefit to carry forward up to 200GB data, but it is not applicable in other circles.